Around 300,000 tourists typically visit Vegas on Super Bowl weekend, and collectively, on average, they spend around $400 million. LAS VEGAS/KTNV — Atlanta is already buzzing with excitement over Super Bowl 53 as both the Patriots and Rams arrived in town yesterday. And here in Las Vegas, resorts, casinos, and sportsbooks are doing what they can to take full advantage of the boost in tourism. Over the past couple of years, the LVCVA reported an average of 300,000 tourists to come in town for Super Bowl weekend, creating an economic impact of around $400 million. And for sportsbooks, casinos and other local businesses in town, the boost in tourism provides a big opportunity. “It’s all hands on deck for everybody, and I think it is for the whole town. 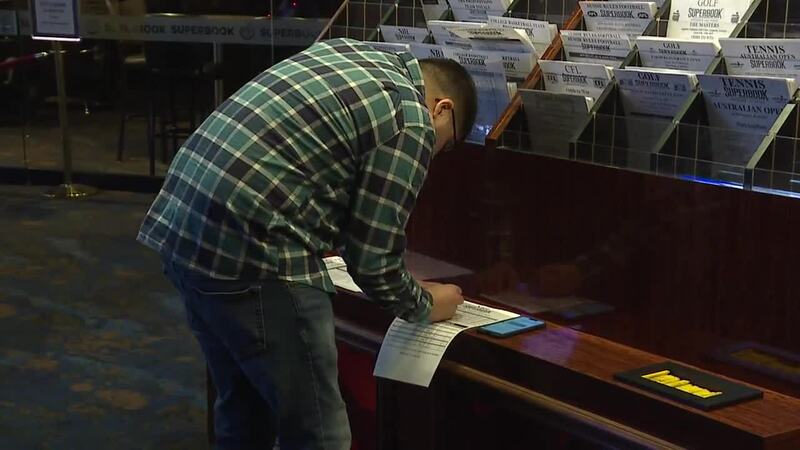 It doesn’t matter if you work at the airport or you’re a cab driver or bartender or waitress because of the business levels that we see and expect during this weekend," said Jay Kornegay of Westgate's Superbook. Kornegay said their Super Bowl prep begins months in advance - planning events and taking reservations. Many of the events at Westgate and around town are free and open to the public. The Downtown Las Vegas Events Center is hosting a massive watch party - with both free and VIP options available. “It’s a free event for everyone, but there’s all these special like VIP experiences, tables, these suites and man caves and things like that, so we got something for everybody’s budget.," said Derek Stevens, owner of the venue. The LVCVA will release their projections for this year's Super Bowl weekend later this week.